Sutter Home continued to reach beyond the bottle by launching one of the first breast cancer awareness programs in 2001. Through the Sutter Home for Hope® program, the company has raised nearly $1 million dollars toward breast cancer awareness and research. 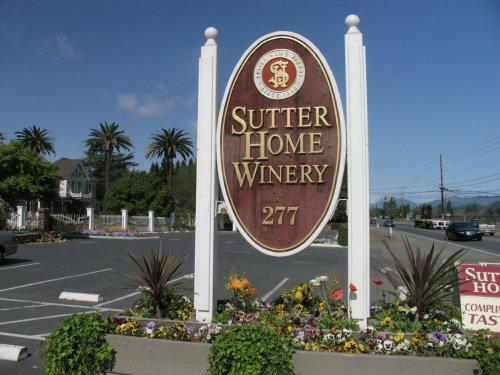 Then in 1990, the Build a Better Burger® recipe contest was born, demystifying the wine experience by pairing America's favorite everyday meal with its favorite wine brand--Sutter Home. And with an exciting $25,000 grand prize, it continues to bring together burger and wine enthusiasts every year. With a fresh new label, Sutter Home continues to reflect the evolution of the brand and its consumers. With over 20 different varietals to choose from in the Sutter Home portfolio, there's a wine to suit every mood and every palate. We can't wait to taste what's next. "Sweet flavors and aromas of white peach, melon, citrus, and tropical fruits accented with a pleasant, floral note. Light-to-medium bodied on the palate, and round in texture. A versatile pairing to many cuisines, including Mediterranean, Italian, seafood, cheeses, and spicy Latin and Asian fare."